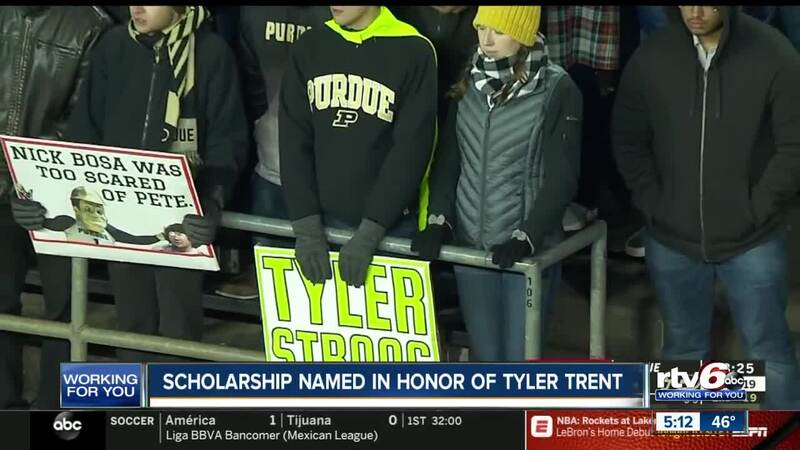 The Tyler Trent Courage and Resilience Award is a scholarship for any undergraduate who has encountered adversity while pursuing a college degree. Trent has an associate degree from Purdue in computer information technology and now is in hospice care. He was diagnosed with bone cancer at age 15. WEST LAFAYETTE, Ind. (AP) - Purdue University is creating a scholarship in the name of a former student whose fight against cancer has inspired people across the country. Trent has been described as a Purdue super fan. In 2017, he camped with another student to get good seats to a Purdue-Michigan football game, just hours after chemotherapy.